From file to software to machine to finished part takes a design along a path through many different vendors, formats, processes, and interactions. We as an industry are trying to manufacture, reliably with a disparate set of tools and technologies. In between ones and zeroes and finished product we have many crucial steps that get an idea closer towards becoming a thing. Depowdering in powder bed fusion (SLS, selective laser sintering) and other powder technologies such as Multijet Fusion was once seen as a cost center. An annoying laborious task that had to be done. A block of powder with 3D printed parts in it had to be sieved, hand cleaned for the parts to be sorted, matched and shipped. As much as a third of 3D printed part cost is manual labor. You can appreciate this is you see how this depowdering process works and just how labor intensive it is. Companies have traditionally offered tumblers and other surface treatment solutions to ameliorate this and improve surface finish. A few years ago a company wanted to change this. Rather that seeing depowdering as a cost center they saw it as a part of a series of process steps that elevated a mere polymer shape into a consumer-friendly part. Rather than just selling a machine that performed an operation this team, the DyeMansion team developed three different machines that while working together could depowder, surface treat and dye a part. A process chain with a high degree of automation and tooling meant to work together in a highly optimized way. We covered the company before when they raised a series A of five million, when they launched in the US, when they won an award, when they went to AMUG, when they showed at Formnext in 2016 and when they got investment previously. The Powershot C parts cleaning machine, step 1. When I got started dyeing SLS parts was done in those electric soup kettles that you see at catered events. We used Dylon meant for coloring t-shirts and had a person stirring by hand. Parts would dye unevenly becoming dark blue on one side and lighter on the other. It was a mess always and cauldrons full of red and blue dye were everywhere. It didn’t exactly feel like the future of manufacturing rather more the future of witchcraft. And that is precisely where we are now. We’re going from spells, hope, exotic ingredients and promises to ISO, GMP and repeatable production. What do we see? Everyone wants to make or sell 3D printers, lots of people are developing software and many sell materials but only one firm is developing a line of post-processing solutions that in an integrated way depowders, cleans and surfaces parts. The three machines work in tandem and are rather confusingly named the Dyemansion Powershot C, Powershot S and Dimension DM 60. The Powershot C is not a camera but then again there are precedents in the 3D printing industry in having names similar to camera names. The C cleans parts and depowders them using movement and ionization and damaging parts less than alternatives, while the S is a blasting cabinet with a high degree of automation that gives parts a more closed and more uniform surface texture and structure; and the DM 60 is the dyeing unit. The S, the second step for surfacing. All in all I’m a huge believer that in a Gold Rush sell picks and shovels and have heard great things about the labor-saving capabilities of these units from friends. We spoke to Kai Witter who after a long 3D printing career became the sales manager at DyeMansion and is helping bring the technology to manufacturers worldwide. How much labor does your depowdering station save? If I did 5 full builds a week, how much money or how many hours would I save? Powershot C saves 1251 working hours. So it is three units that work together? How do they work and how much do they cost? The three unity combined build an integrated workflow, so called ‘print-2-Product’ workflow to turn 3D printed raw parts into high value products in 3 hours only. Automated, efficient and reproducible. Powershot C: Cleans parts in 10 mins only, without damaging the surface. 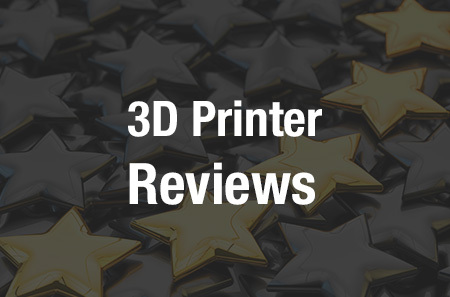 Compared to manual cleaning we assure the sensitive surface of 3D printed raw parts is not damaged from too much blasting pressure and broken or worn blasting media. Powershot S: Refines the surface of the raw parts with a smooth touch, matte-glossy finish and improves scratch and water resistance of the parts in 10 mins only. The PolyShot process prepares the part for homogeneous dye absorption that leads to an even color image over the complete surface of each part and all the parts. So how does it work as an investment? What does the ionization do? Why is a homogenous surface quality important? How does the second step work? Why is the feel of the product important? People are used to comparing parts with what they know, such as Injection molded parts. Rough surfaces don’t create an image of quality, they are scratch and dirt sensitive. It is all about perception and mind change. The high-quality perception of 3D printed parts on a manufacturing level, even if the visual appearance may not be relevant for the functionality (functional end-use parts or functional protoytypes) is a prerequisite to open up more and more applications that are injection molded today, maybe only because of the feel. Does it make it feel more luxurious? I would not call it luxurious. I think it meets injection molded standards, at least. Nevertheless, some of our customers from the life style industry describe our matte-glossy look as more valuable than the typical shiny look & feel known from Injection molded parts. How long do these steps take? Step 2 – Polyshot Surfacing => 10 Mins before the dyeing and optionally a few minutes after the dyeing to increase the matte-glossy look & feel. How does the coloring process work? “We have developed an automated, flexible, geometry independent infiltration process where the parts are constantly moving in a water bath. The cartridge is filled with the recipe (reflecting color, material and finish) to accomplish the required color. Further a RFID chip on the cartridge defines the required process parameters such as temperature curve, holding time and pressure that is required. The dye connects with the part as a chemical reaction. How much are the cartridges and how do they work? “The cartridge price varies between €40 and €105 depending on the required volume of the dyebath. How many colors can I do? What are some of the interesting things customers are doing with your products? This is always the toughest questions. There are so many interesting and mind-blowing applications with DyeMansion. But the competitive advantage our customers accomplish prevents them from making it public. Famous parts are automotive and Aerospace interior parts, prothesis and orthoses, medical devices and instruments, Eyewear frames and top-notch sports shoes with 3D Printed and DM finished midsoles.